Our wealth of expert knowledge means the care we provide for residents with memory loss is second to none. Our care homes offer specific features that maximise independence and promote a safe, stimulating and restful environment. At Carebase we embrace this to the full and help residents to combat the earlier stages of dementia. 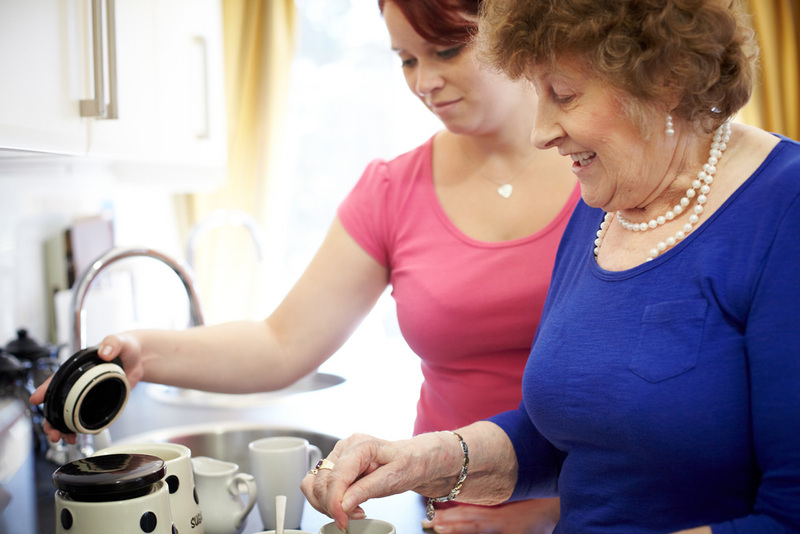 We work with each resident to keep the mind active, with activity being a key part of care. The wealth of published medical information about dementia is that (dependent on which type it is) one can stave off the decline in memory loss by keeping the mind active through purposeful activity. At Carebase we embrace this to the full and help those ‘earlier stage’ residents to combat the effects of dementia as much as it is appropriate to do so. There is no one-size-fits-all approach to dementia care, since people’s needs and abilities can change across time, so care for older people with dementia has to be very closely tailored to the individual person’s needs and subject to regular review with other family members and healthcare professionals. For those whose condition is progressing, we provide an environment that supports therapeutic care, encourages gentle activity and accompany residents as they reminisce about past times and, most importantly provide care that maintains their dignity and self respect. We employ various therapeutic techniques to promote interaction and a sense of wellbeing. We engage the senses through a variety of group and one-to-one activities, which focus on likes and dislikes and triggering memories. Each home offers a variety of different techniques, like music therapy. A beautiful piece of music can strike a chord in a resident’s emotions or a familiar tune can tap into their memories. Pet therapy – where we bring animals like dogs into the home and encourage residents to pet or stroke them – can help reduce agitation, encourage physical activity, prompt interaction and provide the simple pleasure of companionship.